CANBERRA, Australia (AP) — An Australian teen known around the world as “Egg Boy” conceded on Monday that egging a far-right senator was not the right thing to do, but said the gesture united a world reeling from a white supremacist’s alleged massacre of 50 Muslims in New Zealand. Will Connolly, 17, gave his first television interview since becoming an online hero among many for cracking an egg on Sen. Fraser Anning’s head as the maverick legislator spoke at a news conference after a gunman killed or wounded 100 worshippers at two Christchurch mosques on March 15. “I understand what I did was not the right thing to do, however this egg has united people and money had been raised — tens of thousands of dollars has been raised for those victims,” Connolly told Ten Network television’s “The Project” program. A GoFundMe page set up to raise 2,000 Australia dollars ($1,400) to pay for Connolly’s “legal fees” and “more eggs” reached AU$80,000 on Monday. He said he hasn’t had time to think about how he will respond to offers from supporters such as a vacation in Turkey and a lifetime of free beer in Canada and Wales. Police say the egging constituted an assault. But police are also investigating Anning, who retaliated by striking Connolly twice, and Anning’s supporters who roughly pinned the boy to the ground. No charges have yet been laid. “There’s no reason to physically attack anyone. She’s glad I stood up for what I believe in; she definitely disagrees with the way I did it,” Connolly said. “I always prefer Will. 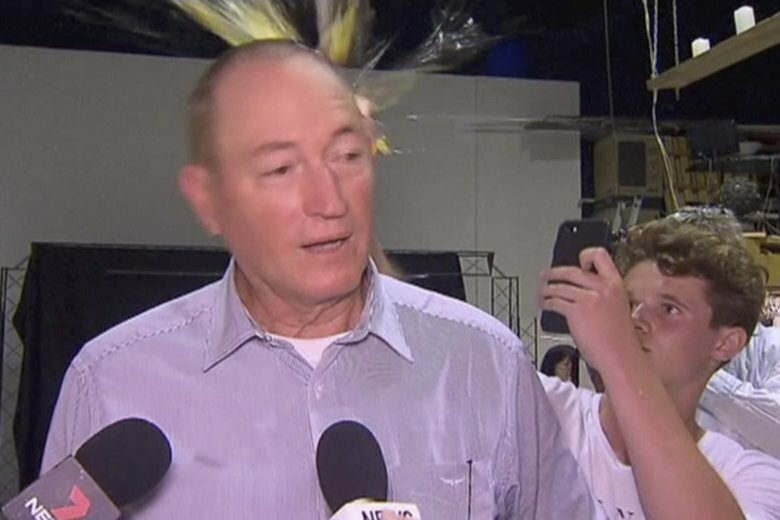 Egg Boy is getting pretty annoying to be honest,” Connolly said.